He holds the following qualifications. Teachers Grade II and Teachers Grade I. He was born in the year 1947 in a polygamous family of Chesami Jeremiah and Frida Ase Ngwenyin in Ashong Batibo in Southern Cameroons. He went to Sacred Heart College in 1962 and on completion went to the Government Teachers Training College Kumba to become a teacher by profession. He holds the ACP and DIPASE of the College of Preceptors London. He was elected FcollP. He holds the Licentiate in TEFL/TESL from Trinity College London. He holds a PhD from The International University of Bamenda and a Certificate in Catechesis from Maryvale Birmingham. 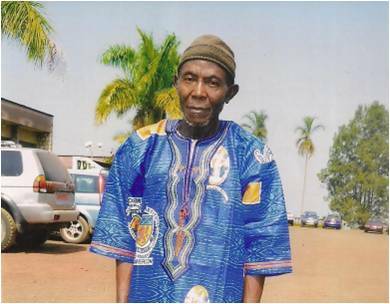 He has put a total of 46 years teaching at different levels, primary, secondary, High Schools and Teacher Training. His specialty has been English Language, literature and methodology. He had been Head of the English Language both in Government High Schools and Teacher Training College. He is an International Laureate Poet and Distinguished Member of the International Society of Poets. His poems have featured in several anthologies published by The National Library of poetry. His poems appear both in print and in the “Sound of Poetry”. He was called into the International Poetry Hall of Fame in Washington D. C.
He has published many articles both in National News Papers ,National and International Magazines. Was elected Secretary General of The Southern Cameroons National Council when Chief Ayamba Ette Otun was National Chairman. After a year I became the Vice National Chairman and worked hands in gloves with Chief Ayamba Ette Otun. When he died in the year 2014, we went for his burial and immediately after the burial I was designated by the Ad hoc committee to be the interim National Chairman of The Southern Cameroons National Council. I held the post and after four months, Representatives from all the 13 Counties in Southern Cameroons designated me to be The National Chairman. Following instructions from Chief Ayamba before he died we opened a website where we put our information to the whole world on our struggle to restore our independence and sovereignty in the most peaceful manner. The dream therefore is to see the restoration done by the United Nations of the World. He took Enda Rosaline as a wife and had two handsome boys with her, she became naughty and things collapsed beyond repairs like the Tower of Babel. Then came the turn of Atud Briget as a wife. I had a handsome boy with her and thereafter she taught that she had better live in greener pasture. She had the green light and took off and things ended there. This latter part of my life is spent in the midst of nature where there is total peace. I try to nurse seeds of palms and oranges and plant, so that even after my demise, humanity may benefit. I still hold tenaciously to writing, singing and making friends from all parts of the world. My personal philosophy is that “without man, man is nothing”. Human beings like trees must bear fruits for the Kingdom of God, else they Will be likened to a curse resembling that of the fig tree that did not bear any fruits when Jesus passed by to harvest and found non. With the nine “Blessed” beginning with “Blessed are the poor in spirit for theirs is the Kingdom of God. ” Mathew 5 v 3-5. Human beings, followers of Christ must make relentless efforts in life to shuffle within the nine “Blessed ” found in Matthew 5 v 3-12 .to be ripe for God ‘s Kingston. How dare anyone barren of fruits enter heaven ? Heaven therefore unlike earthly riches should be the focal point of all human beings and this like trees must go with the bearing of good fruits. Man was created by God in his own image for himself and for heaven except a man decides not to enter heaven. Our Lord visits us on daily, weekly, monthly and yearly basis to harvest fruits from us. Such fruits expected from human beings are depicted in the climax of his teaching “The Sermon on the Mount. ” With the nine “Blessed” beginning with “Blessed are the poor in spirit for theirs is the Kingdom of God. ” Mathew 5 v 3-5. To Southern Cameroonians at home and in the Diaspora. Kindly accept my warmest greetings and deep love on the behalf of Southern Cameroonians and on my own part. God created all of us in his own divine image to live and love in peace and to praise serve and obey him. He endured us with diverse multi talents to work for our own well being, that of others and of our beloved nation, The Southern Cameroons. Our early leaders of the fake and long aborted unification of La République du Cameroun and The Southern Cameroons made a fatal error in the past coupled with greed and the longing for positions to have trusted without due checks a people we hardly knew could turn and declare an inglorious and unjustifiable war against us, a war that plaques us with genocide and the burning down of numerous houses in our villages and cities. This War declared upon us is utter provocation of our being as a People and a nation. Our defensive measure in this situation is our irrefutable right under the universe, and we must with God on our side as an oppressed People. Endured with courage which is a divine gift and with multi and diverse talents at our disposal we must fight back to push out the imperialist and terrorist’s forces out of our beloved and God given Nation and restore our independence and sovereignty for our good and that of posterity. The judicious application of vigor, tactics, diplomacy and technology with all our collective efforts will give us the much needed victory and our freedom. We advocate a curse on all boot lickers and traitors of our struggle to restore our independence and nation. There is nothing sweeter than freedom and peace which are divine gifts to all human beings on earth. I entreat every Southern Cameroonian to make maximum input in this struggle for our own betterment. It is a matter of do or die, to be or not to be. With God on our side and with one voice we utter a heart rending cry to our creator and the giver of nations and their people. We pray that they who they have killed on our land join us spiritually in the struggle and all traitors like Judas Iscariot should go the same way without enjoying the money of their deal. And lastly, the greatest fight is prayer warfare. We must cry to God to put his might on our side to restore our nation where there will be peace and justice for all. In this regard, fasting and prayers in groups and in churches will be primordial in our struggle and victory. In God we trust. The following issues may help the international community to understand our case better. If President Paul Biya of La République du Cameroun had respected the terms of the Green Tree Accord which he signed with former SG of the UN Koffi Annan to withdraw his troops from Bakassi to his country at independence, there should have been no war in Southern Cameroons and he should not have caused this heart rending genocide. If President Paul Biya had respected January 1st and October Ist as the dates of independence for la République du Cameroun and Southern Cameroons respectively and their territorial boundaries, there should have been total peace in Southern Cameroons. If President Paul Biya of La République du Cameroun hadn’t pompously declared War on Southern Cameroons there should he should not have caused this heart rending genocide and the heavy burning down of houses in Southern Cameroons. President Paul Biya of La République du Cameroun cannot declare a full scale war on the Southern Cameroons and has not withdrawn his troops back to his country at independence and is asking for peace to reign. What is at his disposal for peace is either he kills all Southern Cameroonians which God cannot allow him to do or he withdraws his troops from Southern Cameroons. Once a Nation ever a nation and no nation no matter its size can allow itself for another nation to render it extinct. Can France go extinct to Britain? No! Can Germany go extinct to America? No! Then, why must Southern Cameroons go extinct to La République du Cameroun her neighbor? May God bless, protect us and our Nation. Long live the Southern Cameroons and her citizens in the glory of the most High God. Sign Peter Forchu Chesami, Ph. D.
I have the greatest honor and deep respect to address this open correspondence to you. Before you go through it, I beseech you to bless me from a distance whether or not you will cherish and implement what I am asking for on the behalf of Southern Cameroonians. I am writing to you in the following capacities. A Southern Cameroonian Patriot, and The National Chairman of The Southern Cameroons National Council (SCNC). Your Eminence, on my honor as a boy scout, I was present at the AAC 1 Conference that held in Buea at Mount Mary’s Maternity because all other doors were shut. We started the conference at 8 AM and until night no break and no one thought of food. The meeting ended at 10 PM with the signing of the memorandum that was sent to President Paul Biya of La République du Cameroun and until now, no response. Thereafter, AAC 2 was held in Bamenda and another memorandum sent to President Paul Biya and no response till date. After the AAC2 it was resolved that no more Anglophone conference to be organized. The SCNC was therefore given the mandate to Work towards the restoration of the Sovereignty and the independence of Southern Cameroons and the SCNC has worked very hard up to this moment and it is still working. Your Eminence, Southern Cameroonians no longer want to fall again in Biya ‘s snare. Your Eminence, “what is crooked can never be made straight.” Ecc 1 verse 15. What is bitter can never be sweet and what is evil Can never be good. If the Regime in power did not border about previous memoranda it would not border about a third memorandum. They hate us. Your Eminence, The West African Court asked for a dialogue when SCNC took them to court to no avail. The late SG of the UN asked for a dialogue to no avail. Biya signed the Green Tree Accord to withdraw his troops from Bakassi to his country at independence to no avail. He has not honored the accord he signed with the UN secretary General Koffi Annan now of blessed memory. Your Eminence the Regime in power has not only killed numerous innocent civilians but has burnt over 70 villages. The blood of these innocent civilians is crying like Abel”s blood before God for vengeance. Southern Cameroonians for 58 years have been living in hell fire and they want to go out of it by God ‘s grace. The regime’s declaration of a full scale war on Southern Cameroons is an indication of her recognition of Southern Cameroons as a different Nation because no nation in the world ever declares war on her citizens. Your Eminence, you should not be wooed by who ever to call AAC3., for it would be highly influenced by the devil we abhor and want to avoid at all cost. The blood shed on our land through the unjust and inglorious war declared upon us by President Paul Biya pains us. The two cultures inherited from two different colonial masters run on parallel lines. Angels of God cannot go into alliance with angels of the devil nor sit on a common table to dine. Your Eminence, if you were to ask my opinion about calling AAC3, I will frankly say forget about it because we had long crossed the Rubicon and no turning back. The Regime in power had long shitted out the unity and Federation and no dog ever revisits its vomit. God is God of justice and God of the oppressed No form of federation will help us. It would rather land us in hell fire for good. We have to be very cautious of our being, identity and integrity. The Mother was given wings of an eagle and she took flight into the wilderness. There still, the devil carried water in his mouth to cause a flood so that she is swept by the flood. But the earth opened its mouth and swallowed the water and our Lady was saved. REV. 13 vs 14-17. You May kindly help the troubled world and especially Southern Cameroons with prayers to regain her sovereignty. An Address by Dr. Peter Forchu Chesami, The National Chairman Of The Southern Cameroons National Council To Southern Cameroonians At Home And In The Diaspora On The Occasion Of The 58th Independence Day. Fellow Southern Cameroonians, It is sad that I am addressing u at a time that genocide is going on in our country caused by President Paul Biya of La République du Cameroun in complicity with the French. It is a shameful and unjustified war that goes to kill innocent citizens, children, the youths, women and men of old age. It goes to an extend of burning down houses of more than seventy towns in our country and has frustrated the masses into taking shelter either in the bushes or in refugee camps in neighbourly Nigeria. We vehemently condemn la République du Cameroun and France for treating us that way to the eyes of silent and unconcerned United Nations and the giant Nations of the world that even voted for our independence and Can not now back their votes. However ,our right as a nation is divine and we must defend it stoically. We thank the youths Who have taken upon themselves to defend the nation do or die for their own good and that of posterity. We strongly condemn traitors and boot lickers. When God created people he gives their own Nation and their natural boundaries and their ways of doing things. Our ways are gentlemanly and their ways are diabolical and these two run on parallel lines. They do not fear God else they Will not be killing God ‘s people even with priests. Our God is a merciful God, God of the oppressed and justice and he will answer our prayers since. The defunct CNU motto said “The Truth Will prevail. ” God is truth and we stand on the pinnacles of truth and so the truth Will ever prevail. God alone be our helper and watch man. In faith therefore, I exhort all Southern Cameroonians to pray hard and God Will answer our prayers and restore our sovereignty back to self governing as we used to be before ever achieving our independence from the UN which was bewitched with conspiracy of some big Nations that thought that independence is only for them. May God bless and protect all Southern Cameroonians wherever they find themselves in this world. They should bear in mind that they have their Nation and for la République du Cameroun and France thinking that they Can cause us to go extinct in the world in order to grasp our Natural Resources is a big joke. 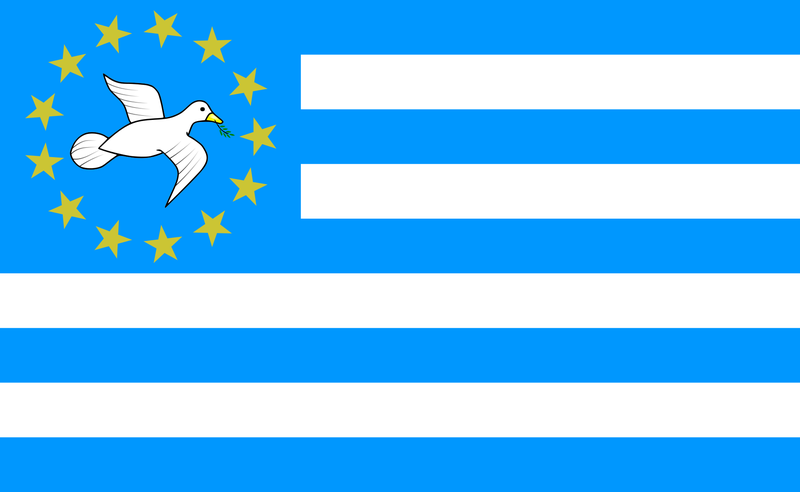 Long live Southern Cameroons and her peace loving and friendly People among the Nations and People of the world. Definition as per the Advanced Learners’ Dictionary by A.S. Hornsby is the whole body of Christians / members of the church that has the Pope as its Chief Bishop. From my humble perspective, since Catholics are all united in the one Catholic Church headed by Christ himself and the Christians all constitute the body; the church which is one, Holy, Apostolic and universal, is the one ushered by Christ to go into the world under the leadership of St. Peter to fish men for the Kingdom of God. 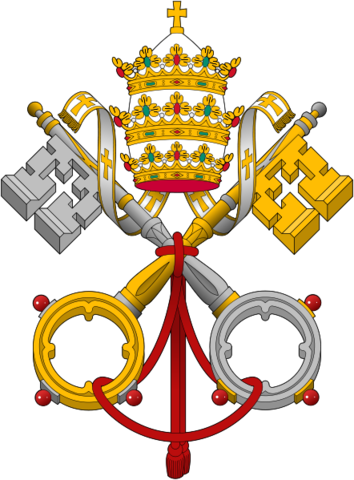 The Church is still doing that marvelous job through the magisterium of the church from one generation to the other. The “Church” by obligation constitutes Christian brothers in the entirety of humanity. The Catholic Church has at least to my knowledge penetrated to all the big and lesser Nations of the world. The very church has the same Divine Authority to gather souls for the Kingdom of God as Jesus told the Apostles that what is accepted on earth will be tolerated in heaven. This same church should be as beautiful and as perfect as perfection can imagine. The church has that supreme and Divine authority to shout and even stop the Nations that are waging wars and causing genocide. The same church has the supreme and Divine powers to speak to corrupt governments and even to guide and direct the United Nations on how the umbrella of love, peace and justice could possibly cover all the people and Nations of the world just as the universe covers everyone and everyone on earth is answerable to the dictates of the universe. The church should not stand aloof and watch New Adolf Hitlers spring up in the world and kill God’s people everywhere as though there was a pestilence. The church’s major role in bringing Christ to all the hearts in the world as its mission must fan love, peace and justice everywhere and the world by obligation must listen to the church whose powers come from Christ. The Catholic world must be one that lives in love and gathers all the people everywhere in oneness of God, in holiness, like the holiness of God and bring justice to the world. These are some of the perplexities that give me sleepless nights as I see the vulgaries and human indignities being perpetuated, with continuous genocide caused by dictators and blood thirsty men. Not only that, some big Nations cause a lot of stress in the world, they provoke wars, fan dictators, and help dictators to do massive killings on their citizens through their military. There is absolutely something worse than slave trade and suffering going on in the world. The Catholic world, headed by our Lord himself must work relentlessly towards world peace, love and justice. The church must remain wholly “Catholic” bearing the hall marks of our Lord. The sign of the cross must run through the veins of every Catholic everywhere in the world. Where there is the Catholic world, Christ himself is there because the “Catholic” is well bounded by love, peace and justice. Where is Catholicism in a world where some big Nations like the Mighty Shark are eating smaller Nations? Where is the love that binds Catholicism in the world where the Rwanda Genocide and the current genocide going on in the world does not mean anything to anyone anywhere? Keeping peace, love and justice is part of spreading God’s love and the gospel. The ongoing killings in the Southern Cameroons are a nightmare with well over 40.000 refugees out in Nigeria, countless houses burnt down to ashes. Some other thousands hiding in the bushes out of fear and the shootings from the soldiers of La Republique du Cameroun. It is the concern of every Catholic in the world. What a world and what a hell going on with God’s people everywhere! The sooner people stop producing guns, bombs and other destructive material, the better for the world. The world is not man’s world but God’s world. The First and Second World Wars destroyed their quota and went, and other wars keep going in the world as though the world is a glorious battle field. Since there are no wars beyond this present world, what would war mongers do when they die? Certainly pay for the wars they caused on earth? At the time the biblical Cain killed his brother Abel, God was angry with him, because the blood of Abel cried to God, and so does the blood of anyone killed cries to God. At the time many more churches are springing into the world, spreading the gospel of the Lord, the gospel cannot properly be spread out of love, peace and justice. At the time Christians are prayerfully awaiting the second coming of Christ, the world ought to desist from animosity, wars and genocide. “Love” as preached by Christ, peace and justice must envelop the world. Anarchy and terror must not reign in the world. Christ must not be re-crucified by the hatred and killings going on in the world. The onerous task of the church is to penetrate into the hearts of world dictators for them to put love into practical terms by good governance and the avoidance of exploitation and wars, and bring peace and justice where it is due. The church must put an end to every genocide anywhere in the world, and let love, peace and justice knit all humanity into oneness. CCC 1823 states: “Jesus makes charity the New Covenant. By loving his own “to the end” he manifests the Father’s love which he receives. By loving one another, the disciples initiate the love of Jesus which they themselves receive. Whence Jesus says “As the Father has loved me, so have I loved you; abide in my love. And again “This is my commandment that you love one another as I have loved you”. Love is therefore the cardinal point of Christ’s coming into the world and the church that constitutes the body of Christ must revolve on all the cardinal points love, peace and justice in the entire world, so that the world can comfortably accommodate Christ, while waiting for his second coming. The flames of violence, misery, war and genocide are blazing in the world unchecked; and the church for the love of Christ must extinguish the flames and replace them with the luminous flames of love, peace and justice. CCC 1889 states thus “Without the help of Grace, men would not know how to discern the often narrow path between cowardice which gives in to evil and the violence which under the illusion of fighting evil only makes it worse”. This is the path of charity that is of the love of God and of neighbour. Charity is the greatest social commandment. It respects others and their rights. It requires the practice of justice and it alone makes us capable of it. CCC 1866 states thus “To love is to will the good of another”. CCC 1825 states that “Christ died out of love for us while we were still “enemies”. The Lord asks us to love as he does, even our enemies, to make ourselves the neighbour of those farthest away and to love children and the poor as Christ himself. The church, therefore, the entire people of God must love collectively and fight the evils of the times collectively from the central point in order to restore peace, love and justice which are far lacking in the present world. The church’s teachings on love should not remain theoretical! Field work and action are required. that have no bones to gnaw in the morning. Therefore wait for me. Oracle of the Lord. and the peoples conspire in vain? and cast off their chains from us”. on Zion my holy mountain”. exalt with trembling, accept correction. Lest he becomes angry and you perish along the way. When his anger suddenly blazes up. Source Pray for us sinners by FF Jim Borst MHM. “At Fatima, Our Lady confirms in our present century, the power of sin and evil. Satan himself has largely set the agenda of historical events: large scale lapse from the faith, breakdown of morality; widespread divorce; the sexual revolution; abortion and drug epidemics accompanied by war; famines and persecution of believers and of the church”. We are all living witnesses to these happenings in the world. 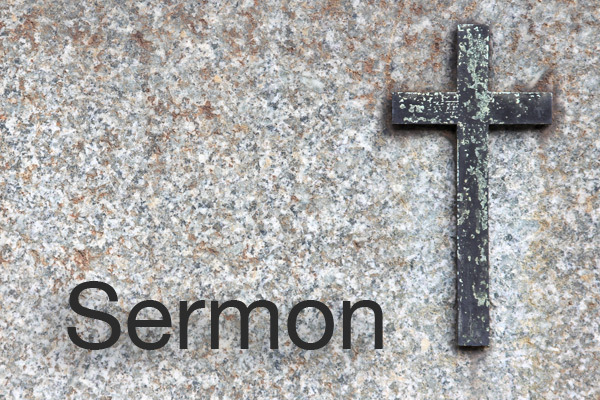 The church cannot rely only on the theory of spreading the Gospel to the world. The church must break all satanic strategies of killing innocent souls, the burning of peoples’ homes, or people becoming refugees outside and even in their own homes. Once people loose faith, Satan draws many believers into hell fire. As Satan has courageously set largely an agenda of historical events to break down morality, the church must resolve to counteract the agenda of Satan against God’s people. When I talk of the church, I am referring to the universality of the church that embodies all Christians and all God fearing people in the world. The people of God need security and must not be tortured by power mongers all over the world who are being directed by Satan the devil. The church must avoid all sorts of bribery and corruption and work towards enhancing love, justice and the truth throughout the world. God has shown his love for man by creating man in his own image. Genesis chapter 1:17. God created mankind in his image. In the image of God he created them. God blessed them and God said to them: Be fertile and multiply; fill the earth and subdue it.” The African Bible. What God has created and blessed, let no one curse it. Let no one destroy it. Today, the killings of God’s people everywhere should give every genuine Christian the concern. God’s reason of creating man is out of love and this love covers all humanity just as the universe covers all mankind. The Holy Church that receives Divine authority from Christ must cover all humanity with love and so it must not stand aloof when all these evils and genocide are plaguing the world. After the World War I and II, Adolf Hitler was pursued for war crimes and so must the church in its oneness pursue all dictators all over the world that constitute the source of all evils taking place in the world under the influence and well calculated agenda of Lucifer the greatest enemy of God. Either the world is Catholic or it is not. Either the world is for Christ or for the Devil and his agents. Church theologians must give a serious thought of what is going on in the world and draw strategies to bring Christ even into the hearts of tigers and leopards to honour man, God’s image. The church must devise ways of causing wars and genocide to stop and causing peace, love and justice to prevail to all citizens anywhere and everywhere in the world. The Catholic world must penetrate the ranks of the United Nations of the world that is closing its eyes on all atrocities going on in the world. Stop any Nation trying to annex another. 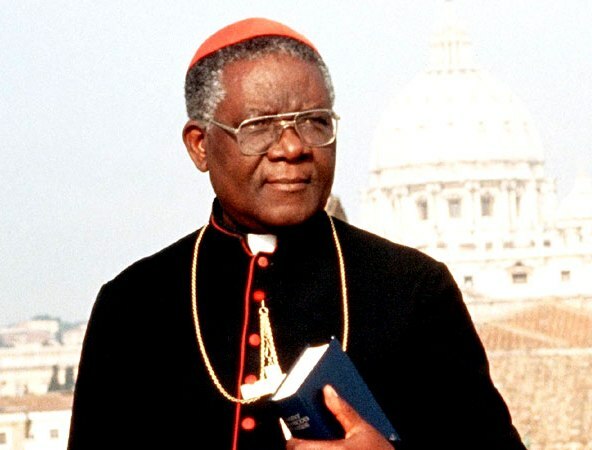 The church must penetrate the ranks of African Union, European Union and all the big Nations of the world so that human beings created in the very image of God must be treated with care, respect and love of God that covers all human beings on earth. The church must stop those big Nations that are impoverishing the weaker Nations and perpetuating genocide on countless masses. The church must stop the most cruelsome form of exploitation and slavery going on in the world. The church must ensure that all the Nations of the world have equal standing, and the right of every Nation must be highly respected. The church should monitor all the evils and atrocities going on in the world through the most powerful Radio and Television Station in the world so as to devise ways of stopping such satanic atrocities that go to denegrade man, (the image of God). The voice of the church like BBC must silent any rising dictator anywhere in the world; for the might of the church is the might of God. The church should institute equally radio and television channels in every country with journalists to give daily or weekly reports on the nature of peace, love and justice that prevails. 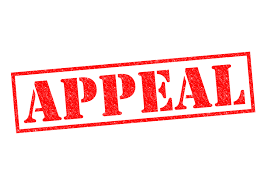 Any country that does away with the lives of anybody must be taken to the church instituted Tribunals, with well set strategies to implement their judgments. The church should have a standby army and police force which must be as incorruptible as the British Police who have every right of doing findings in any country in the world in order to bring criminals before justice. The church should boast of a well trained army and military personnel who when they get into any country, the dictators will quiver. The church’s military equipment should be the best in the world to fight for love, justice and peace that the world is in desperate need. A country like Ireland that is predominantly Catholic could house the military headquarters and other military bases created in all the continents of the world. The church military council should be composed of real Christians drawn from many countries in the world. And each continent should have its military base and Generals ready to act where the military of any country is at the whims of dictators killing its own citizens. The church in itself is love, and as love has not got any borders, so too does the church. The church should work for the common good of all God’s people on earth, with each generation taking care of its people as well as spreading the message of the Gospel and the love of God and man. As the world is waiting for the second coming of our Lord Jesus Christ, the stage must be well prepared because Christ will not die a second time to rescue man whom he had earlier rescued! If the UN fails in maintaining world peace, love and justice, the church must not. Funding: All Christians everywhere in the world should fund the church’s military project of bringing Christ to all hearts and stopping the enlarge agenda of Satan to destabilize the world and to ruin the souls of men. If the church allows Satan and his agents to triumph over the lives and souls of men, then it will be very horrible. The church and its people are the property of God and so the church must defend itself, its Christians and all of humanity in oneness and sow practically seeds of love, justice and peace among the rulers of the world. Dictatorship anywhere must be hewn. “But a shoot shall sprout from the stump of Jesse and from his roots a bud shall blossom. A spirit of counsel and of strength and his delight shall be the fear of the Lord. Not by appearance shall he judge, nor by hearsay shall he decide. “But he shall judge the poor with justice and decide fairly for the land’s afflicted. He shall strike the ruthless with the rod of his mouth, and with the breath of his lips he shall slay the wicked. Justice shall be the band round his waist and faithfulness a belt upon his lips. Then the wolf shall be a guest of the lamb and the leopard shall lie down with the young goat. The calf and the young lion shall browse together with a little child to guide them. The cow and the bear shall graze together, their young shall lie down. The baby shall play by the viper’s den and the child lay his head on the adder’s lair. They shall not harm or destroy on all my holy mountain, for the earth shall be filled with knowledge of the fear of the Lord as water covers the sea. Summarily, I am humbly making a pertinent appeal for the church to preach love, peace and justice in practical terms by always intervening and by preventing war and genocide perpetuated on God’s people, causing the down trodden to loose their faith in God while giving Satan the upper hand. The church cannot remain perpetually silent or neutral over such heinous crimes on human rights violation going on in the world. The church has authoritative influence and divine authority over preaching Christ, the center of love to all the people and to all the Nations of the world. If the church was able to execute Galileo over the simple fact that he said rightly that the world is round, what more of serving God by preventing torture of the very people that God greatly loves. The church cannot continue to play the role of neutrality even over the killing of Christians, Priests and Apostles. With very little amount paid by Christians world-wide, huge sums of money could go to have a permanent peace keeping force to check all the human right abuses prevalent in the world perpetuated by some very powerful Nations over poorer Nations, especially when it comes to cruelsome neo colonization and exploitation. This will bring peace, love and justice to the entire people and bring Christ deep in every heart. Satan has already corrupted the United Nations and it no longer understands the prime action of bringing love, peace and justice in the world. Peace, love and justice could surely come into the world through the church that constitute Christ as “love” and its head. If the church subjects itself to corruption and indifference to the atrocities going on in the world, then Christians and God’s people will begin to loose faith both in the church and on Christ who is the head of the church, giving Satan, the evil one the upper hand and this must not be! The church that has divine authority and supreme authority is Christ’s final word to the Nations of the world on the principles of love, peace and justice without borders. Everyone on earth created in God’s image deserves a fair share of love, peace and justice from God’s people. Student of the 14th Batch Maryvale in the Archdiocese of Bamenda writing from the rostrum of the Laity, with a view of the suffering church, and humanity on earth. As I stand on this podium, I hail you all, and extend to you special greetings from the depth of my heart, for and on the behalf of all Southern Cameroonians, whose mouth piece the Southern Cameroons National Council (SCNC) represents at home. The year 2017 has been a year of sadness and bereavement to all Southern Cameroonians everywhere in the world for all our compatriots duly gunned down by the wicked and satanic forces of La Republique du Cameroun. It is awfully regrettable that despite the fact that on the 22nd September and the 1st of October 2017, Southern Cameroonians held olive branches everywhere in their God given Nation to assert their ego as a sovereign Nation as vetoed by the United Nations 15th General Assembly of 1961, voted by 50 member countries of the United Nations on the 19th of April 1961, the ungentlemanly La Republique du Cameroun decided to gun down hundreds of our citizens with impunity. Since Southern Cameroonians are both armless and harmless, we lift our hands and hearts to the God of all creation to protect us from any further genocide. The Southern Cameroons National Council knew that this kind of genocide was going to take place in our Nation orchestrated by the dictatorial regime of President Paul Biya; we took measures to alert the United Nations of the world, and Great America, the referee of world justice and peace. To our greatest dismay, no action of any sort was taken to prevent this genocide on our citizens; it is regrettable that this genocide may continue if urgent measures are not taken. One wonders whether the world has ceased to be Christians. Great Britain, our former Colonial Masters who pretentiously believe to have granted independence to Southern Cameroons are so mute about our plight and this genocide currently going on in the Southern Cameroons. What they granted to Southern Cameroons was half baked independence that condemned us to this unholy and diabolical union which has resulted to genocide on our people. The British think that their God is different from ours. No, He is the same God that attends to the cries of the oppressed people and is the same God that at judgment will punish the wicked and their accomplices. It is not too late. Independence in its true sense does not mean annexation. Britain should repent and put us on the right track because if they had not colonized us, we should not have suffered this kind of genocide on our people. The blood of all those shot in Southern Cameroons is crying like Abel’s to the God of all creation. Many of our citizens have fled from their God given Nation to neighbouring Nigeria as refugees, others have taken shelter in the forests, adults and children. Why? Before the eyes of the United Nations and the Great Nations of the world. Why? Is the world no longer Christian? Does not the current genocide in the Southern Cameroons touch the souls of men worldwide to take action on La Republique du Cameroun? Whatever may be the reaction of the great Nations of the world, we will continue to have faith in the God who created us and gave us a Nation to live in and our posterity. La Republique du Cameroun has openly and unholy, shamelessly declared war on us and have brought over 4000 of their troops to rain hell on Southern Cameroonians, a Nation that rightly was declared its independence by the United Nations of the world. Southern Cameroonians at home spent the Christmas feast of 2017 in agony of all those killed in their territory by the oppressive forces of La Republique du Cameroun. The Southern Cameroons National Council (SCNC) reaffirms its motto “The force of argument and not the argument of force”. We condemned downrightly all satanic killings on our land and invoke God’s spirit to revenge with rancour, the devil(s) that is (are) operating in Southern Cameroons. We call on all Southern Cameroonians to go on prayer and fasting for God to react in their favour and set them free. We exhort Southern Cameroonians to be more courageous than ever before as the hand of God is already writing visibly on the world. May the might of God be with us and may he send his Holy Angels to defend us. And lastly, we give a minute of silence for all those killed in the struggle. In God we trust and to God be the highest glory.